Cheaper than a campsite or hotel and better equipped !!!! 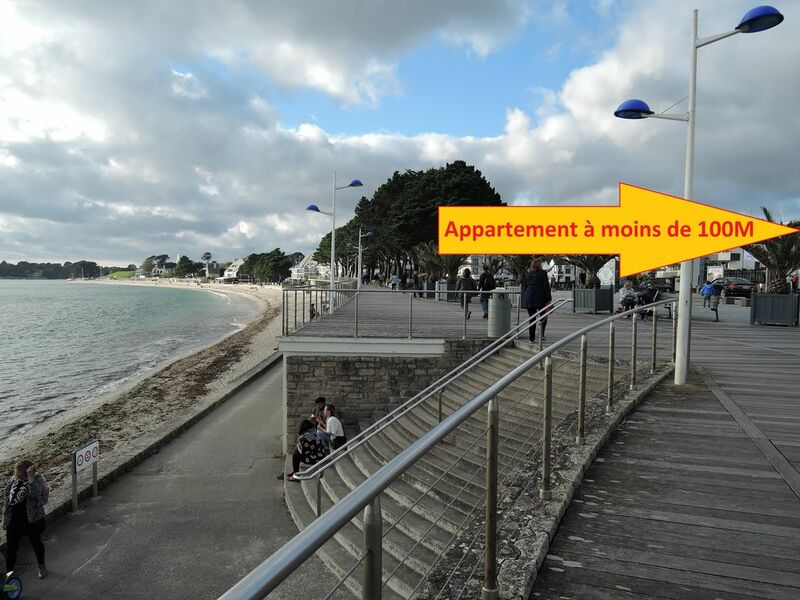 Flat T3 Duplex of 34m ² with done up balcony displayed South in less than 100m of the sea for 2/4/6 people in a residence Pierre & Vacances and with the clame. Secure access to the residence by a digicode, with private parking space, housing is located on the 1st floor with elevator, laundry on the ground floor -1. Wifi pay for now. Seasonal rental all year from Saturday to Saturday, possibility also to rent the weekend 2/3/4 nights also out of seasons on request! - Entrance hall overlooking a bathroom, separate wc, stair access to the floor. - Living room with kitchen equipped with dishwashers (filter and Senseo coffee makers, fridge-freezer, combined microwave ...., Water fountain (it avoids buying water packs), sofa (convertible) sleeping 2 people), table and 6 chairs, LED TV 82 cm, mini chain and large closet, also access to a beautiful balcony south side with a beautiful garden furniture with umbrella and a small table and dryer overlooking a large terrace . -Upstairs a 1 ° mezzanine bedroom with 2 bunk beds and 2 large closets and drawers under the bed + a 2 ° bedroom with double bed, dresser, chair and TV leds 60 cm. NB: Pillows, duvets provided, do not forget your sheets! Directly below the Casino Barrière, its Restaurant and Cinema with two rooms, but also ice cream and waffles house, direct access from the residence to the Thalasso (10% discount), less than 100m from the beach, 500m from the center and 100m from shops. NB: No rental for party nights, or group of young people!